There’s a vast amount of information available concerning foods you should and shouldn’t eat. My advice is to keep things simple and natural. 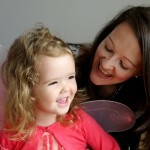 As a Nutritional Advisor and a Mum this equates to good, wholesome, fresh, organic foods. Going organic has become fashionable over the last decade and I seem to find new organic food producers each week. There’s a great selection of organic ready meals for babies and toddlers with the likes of Organix, Ella’s Kitchen and Plum. 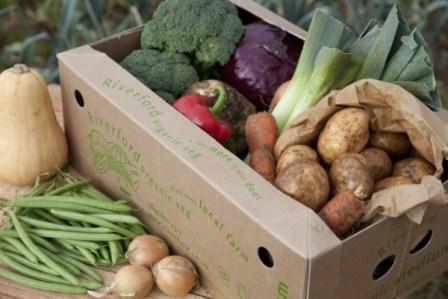 Popular providers of UK organic produce that can be delivered to your door are Riverford and Abel & Cole. But despite all the hype and marketing, there really is good reason for you and your family to eat organic foods. Organic produce is better for your health. And it tastes better. If I eat non-organic I certainly notice the difference in flavour and freshness. Organic fruit and vegetables aren’t sprayed with the herbicides, pesticides and fungicides that can lead to cancer. So if you’re thinking of going organic where’s a good place to start? Go organic on dairy and buy or grow your own organic apples and organic potatoes. Your average non-organic apple and potato are doused in more herbicides, pesticides and fungicides than other fruits and vegetables. Organic produce is slightly more expensive than non-organic produce. To me the difference is worth it and we cut back on our spending in other ways so we can afford to buy organic produce. I see it as an investment in the health of my family and to me this is paramount. There are ways to save when buying organic produce. Every time I visit my local Waitrose supermarket I scan the organic fruit and veg aisle for offers. Frequently I buy produce half price because it’s reached the Display Until date so if eaten that day or the next it’s still fresh. Another great way to get your fresh organic produce and have it delivered straight to your door is to order a Veg Box. We tried a Riverford Veg Box and it really was the bees knees. That week we feasted on freshly picked organic fruit and veg grown in the UK. Truly delicious and without the pesticides and air miles. And tonight I’m dreaming of my own garden where I can grow organic fruit and veg for my family! Are you thinking of going organic? As a Nutritional Advisor I recommend eating your way to health and wellbeing through a wide range of wholefoods. But sometimes it can be more difficult to get the vitamins and minerals you need from food only. A good example is Vitamin D which is required by everyone for healthy bones, immune system health and the maintenance of normal muscle function. Vitamin D can be absorbed through our skin from the sun but many people in the Northern Hemisphere struggle to maintain the required levels of Vitamin D in this way as our weather is often cloudy, we spend a lot of time indoors due to primarily working in offices and we (sensibly) use sun cream during the summer months. As we age the body may not convert vitamin D from sunlight as easily. In this case it can be highly beneficial to take Vitamin D supplements to satisfy the increase in the recommended intake. My husband and I are in our mid 30’s and take Vitamin D3 daily (25µg, one tablet per day) to support the healthy functioning of our immune system and bone health. I also recommend babies over the age of 3 months have the supplement vitamin and mineral syrup Vitabiotics – WellKid Baby & Infant Liquid. Government health experts recommend that babies over the age of 6 months supplement the vitamins A, C and D. Vitabiotics – WellKid Baby & Infant Liquid also includes B and E vitamins and the minerals iron and zinc to help safeguard your growing infant’s nutritional intake and for a healthy immune system. Babies and infants have a high nutrient requirement in relation to their body size to support their rapid physical growth and the development of healthy bones, muscles, blood and the brain.